Miramesa is part of the Canyon Gate family of communities. Its master plan includes approximately 920 acres south of U.S. 290 off Fry Road. Miramesa is centered on the concept that your home is a peaceful refuge at the end of each day. Miramesa is home to a multi-faceted recreation complex and is planned for an on-site school. 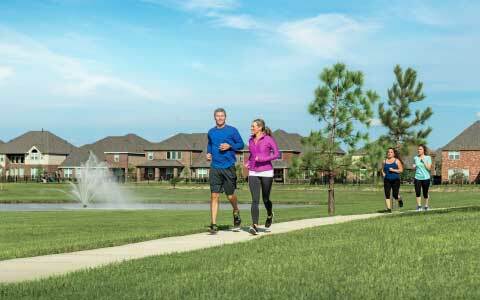 Plus, residents of Miramesa have full privileges to the amenities within Stone Gate & Canyon Lakes West. Miramesa Residents enjoy a montage of choice on-site amenities including a resort-style pool, tennis court, spray pad, dog parks and spacious clubhouse with exercise facilities. Watch our community video to learn more.